Q: What is the definition of minor for issue of passport? A: Applicants less than 18 years of age are considered as minor for issuance of passport. Q: I have a one-month old baby? Does the baby require a separate passport or his/her name can be endorsed in one of the parents passport? A: Endorsement of child's name in parent's passports is not allowed anymore. As per the amended law, a minor should have a separate passport. Q: In case of minor's passport, whose father is abroad, is it mandatory to obtain father's consent to apply for the child's passport? If so, what is the procedure? A: If parent(s) of the minor holds a valid passport, then attested photocopy of passport needs to be submitted along with the application form. Spouse name should be endorsed on the parent's passport. If parent(s) hold a valid passport, but spouse name is not endorsed, then they must get the spouse name added in their passport. For this, they have to apply for reissue of passport and get the specified change done in personal particulars. A: If either parent of a minor holds a valid passport with spouse name endorsed, passport will be issued to the minor without any police verification. Original passport of parent(s) should be presented for the verification of particulars. If parent(s) hold a valid passport, but spouse name is not endorsed, then they must get the spouse name added in their passport. For this, they have to apply for reissue of passport and get the specified change done in personal particulars. Thus, it is necessary that spouse name should be endorsed on the parent's passport. A: It is not necessary that both parents should have a passport before applying for their child's passport. The advantage of either parent holding a valid passport with spouse name endorsed is that it exempts their child from the Police Verification process. A: Minors between 15 to 18 years of age can apply either for a 10-year validity passport or they can apply for a passport, which is valid till they attain the age of 18 years. Fee for a 10-year validity passport is higher than fee for a passport, which is valid till they attain the age of 18 years. A 10-year validity passport cannot be issued to applicants without police verification on submission of parent's passport. If passport is required on an urgent basis, they can apply under Tatkaal scheme. A: The validity of a minor's passport is restricted to five years or till they attain the age of 18, whichever is earlier. But the minors with age between 15 to 18 years can apply either for a 10-year validity passport or for a passport which is valid till they attain the age of 18 years. Different fees are applicable depending upon which category they are applying for. Q: Who can apply for my minor daughter's passport in India as I am on ship at Singapore as second engineer? A: Either parent/guardian can apply for minor's passport. You would however need to get Annexure H duly attested by the Consular section of the nearest Indian Mission. To check the complete list of documents to be submitted along with the application form, please click on "Documents Required" link on Home page. 1. Passport application of a minor with consent of both parents Annexure "H"
2. Applied by Legal Guardian Annexure "H"
3. Minors with single parent (One parent deceased) Annexure "H"
4. Applied by one parent/guardian when consent of one or both parents is not possible Annexure "G"
5. Parents are separated but not divorced Annexure "C"
6. Single parent of the child born out of wedlock Annexure "C"
Q: My spouse is living in another country. How do I get his/her signature for consent while applying for my child's passport? A: Consent of the spouse, who is abroad, is required for submitting the application of their child. It should be in the form of a Sworn Affidavit duly attested by the Indian Embassy/Consulate abroad (as per Annexure "H"). To check the complete list of documents to be submitted along with the application form, please click on "Documents Required" link on Home page. Q: I want to apply for my child's passport. Are signatures of both parents mandatory on Annexure H to be submitted along with the application? What if my spouse is refusing to sign the form? A: Yes, the signature of both the parents is mandatory on Annexure H to be submitted along with the application as it signifies that both parents are giving consent for the issuance of passport to the child. Annexure H is the declaration of applicant's parents or guardian for the issuance of passport to the minor. If either of the parents is not giving consent, then the parent applying for the minor's passport needs to submit Annexure G. To see the format of Annexure H and G, please click on "Annexures/Affidavits" link on Home page. Q: I wish to apply for a passport for my child who is 12 months old. Can I apply for a 60 pages booklet? A: No, you cannot apply for a 60 pages passport booklet for your 12-months old child. Only 36 pages passport booklet are issued to minors. A: In such cases, minors can be issued passport under Tatkaal scheme subject to the approval of the government official at a Passport Seva Kendra (PSK). A: If parent(s) of the minor holds a valid passport, then attested photocopy of passport needs to be submitted along with the application form. Spouse name should be endorsed on the parent's passport. If parent(s) hold a valid passport, but spouse name is not endorsed, then they must get the spouse name added in their passport. 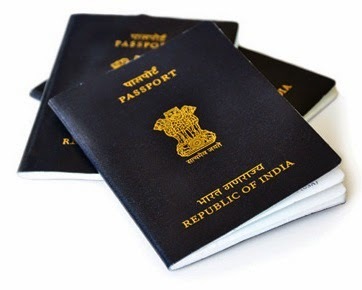 For this, they have to apply for reissue of passport and get the specified change done in personal particulars.A: In such cases, minors can be issued passport under Tatkaal scheme subject to the approval of the government official at a Passport Seva Kendra (PSK). Is it necessary that a single parent should have passport before applying for their child's passport? I have a 5 month old baby with a valid Indian passport. My husband and I have valid passports too but do not have spousal name endorsed. Is it necessary to have the endorsement inspite of having a passport for the baby? You will have to endorse the Spouse name, if you want to add the child's name in any of the parent's passport. In your case, since you already have a valid passport, it might not be required in your case. i have applied for my daughter passport .i have mentioned father name in column of guardian while filling .should i reschedule my appointment . It is always safe to correct the information before submitting the form. In case, if you are unable to change them after submitting the form, we think it is also possible to change that on the day of appointment at the counter in Passport Kendra office. Though we are not sure about this, we have seen both the parents accompanying the kids in passport seva kendra. I have a 5 month old baby and i need to apply passport for him. My wife and I have valid passports but either of the passport doesnot have spouse name endorsed. Is it mandatory to have spouse name endorsed in either of the parents passport? to get a minor passport? The FAQ section of Indian Passport Seva says that to add a kids' name the Spouse Name should be endorsed. Since you want to apply for a new passport, we think it is sufficient if you have a valid certificates for your marriage. Hi, I am sixteen and want to apply for passport. But My parents don't have their passport? What should I do? And how to get the Annexure H done? And Do I need Annexure I too? If yes, then who will swear it? Me or my father? And also Do my parents have to be there at PSK at the time of verification?? Please Tell me?? I need to get my minor daughters passport renewed as it expires in 6 months and i have to join my husband on ship in january'15. How can i go about the same as my husband cannot produce a sworn affidavit nor can he be present in person due to the nature of his job on ship nor can he sign annexure H.
I have to apply under tatkal scheme. Also we have shifted our residence last year, will i need to update my passport with current address before applying for hers. We both have a valid passport,and I have my spouse name added in my passport,but my husband don't have so.he stays in Dubai so its not possible for his presence .I need to apply for my daughter (2 yrs) passport. What are the required papers . Upto the age of 18 u will not be able to get 10 yr validity passport. U hava chance of getting 2 yrs r 5 yrs passport. we have a 13 month old daughter and we both have valid passports with wife's name endorsed in my passport. We are staying at Hyderabad, but originally from Kerala. Can I assign my father as the legal guardian of my daughter and can he apply for her passport? Does Anexure H help her? Please suggest.